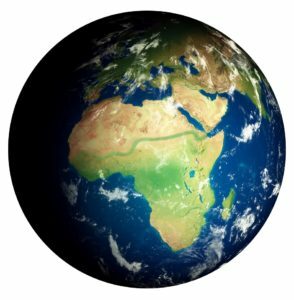 The Society of African Missions (SMA) in partnership with the Irish Tree Council is offering you a unique opportunity to join the fight to combat the impact of Global Warming and Climate Breakdown. It is called The Laudato Tree and Great Green Wall Project. With over 150 years of service to Africa, the Society has witnessed, over the last three decades especially, the devastating impact of Global Warming on the lives of Africa’s poorest and most vulnerable people. The Sahara Desert is creeping southwards and the peoples of the Sahel region are feeling the impact of desertification on a daily basis. Communities are being destroyed, young people are losing hope and increasingly making the perilous journey across the Sahara Desert in the hope of finding a boat to Europe. In the next 20 years, an estimated 60 million people could be displaced if the situation is not reversed. Determined to fight back, the African Union has adopted a major initiative called The Great Green Wall. It will be an 8000 kilometer ribbon of hope extending from Senegal in the west to Djibouti in the east. You can learn more about The Great Green One of the most Wall by clicking here. Ireland too must play its part in combatting the impact of Global Warming and Climate Change. 2018 is one of the warmest years on record. Farmers experienced a fodder shortage in April and due to a continuous drought throughout the summer, have been forced to feed their livestock with next winter’s reserves. It is unprecedented. But it all points to a major environmental crisis that we too, along with Africa, must tackle. One of the most efficient ways to combat climate change is to plant trees. Trees extract harmful carbon dioxide (CO2) from the atmosphere. A single tree can, over its lifetime, sequester 40 tons of carbon. Trees are humanity’s best friends in the war against Global Warming. The SMA, through its Laudato Tree Project, have developed a unique project that aims to grow trees in Ireland and to support Africa in delivering the Great Green Wall by 2030. (ii) €35 will go directly towards restoring degraded lands along the Sahel, training Great Green Wall guardian communities, increasing food security, creating green jobs, offering hope to Africa’s youth and reducing the need for migration or the dangers of radicalization; and allowing donors to become part of helping Africa to GROW A NEW WORLD WONDER! (Funds donated for the Great Green Wall will be passed on by the SMA to the the United Nations Convention to Combat Desertification, UNCCD and through them to a Great Green Wall Project based in Paga, northern Ghana. A personalised certificate will be sent to each donor of €60 or more, all other donors will receive a general certificate. Donors can contribute online via the donation button on the homepage of this website or through www.treecouncil.ie Donors who do not wish to use the on-line system can post a cheque, made out to “The Laudato Tree Fund” to the SMA Justice Office, African Missions, Wilton, Cork. Click here to be brought to the Tree Council of Ireland’s website where you can make your donation. The Laudato Tree and the Great Green Wall Project was inaugurated by the President of Ireland, H.E. Michael D. Higgins, in March 2018 for the SMA (Society of African Missions), [and] in the presence of the UNCCD and the Tree Council of Ireland. It was launched by the Minister for Communications, Climate Action and the Environment, Denis Naughten TD, on 8 August 2018, in Roscommon Town Park, Ireland. A children’s version of the Laudato Si’ video is available here. To view the BBC World Hacks video about Africa’s Great Green Wall, click here.